The IEEE EMC Society has been at the pivot point of engineering technology for over a half-century. With a long history of developments in Electromagnetic Compatibility and Electromagnetic Environmental Effects, the Society brings sharp focus to methods and practices for proper performance of energy, electrical, communications, information technology and wireless systems. The Society promotes information sharing through regional chapters and international symposia. Collaboration across the research, design, test, regulatory and media industries has helped shape the world as we know it. 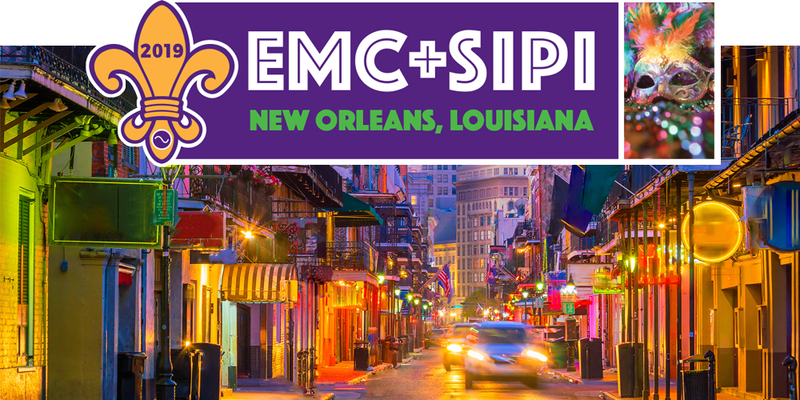 EMC+SIPI 2019 is the leading engineering event to provide education on EMC and Signal & Power Integrity topics to engineers of all backgrounds. Share your insights, exchange ideas, ask questions, learn from other EMC & SIPI experts and see new products. Join your colleagues in the vibrant city of New Orleans, LA, USA, from July 22 - 26, 2019.